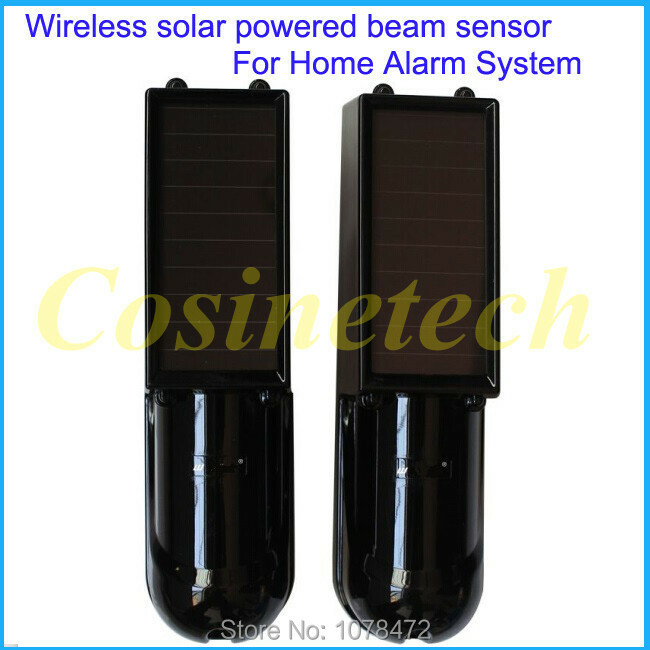 This infrared beam detector with solar power, is compatible with most of 433MHZ alarm systems in markets,such as Golden security alarm system G90B,S1,S2,S3,Kerui alarm system,wolfguard alarm systems,etc. 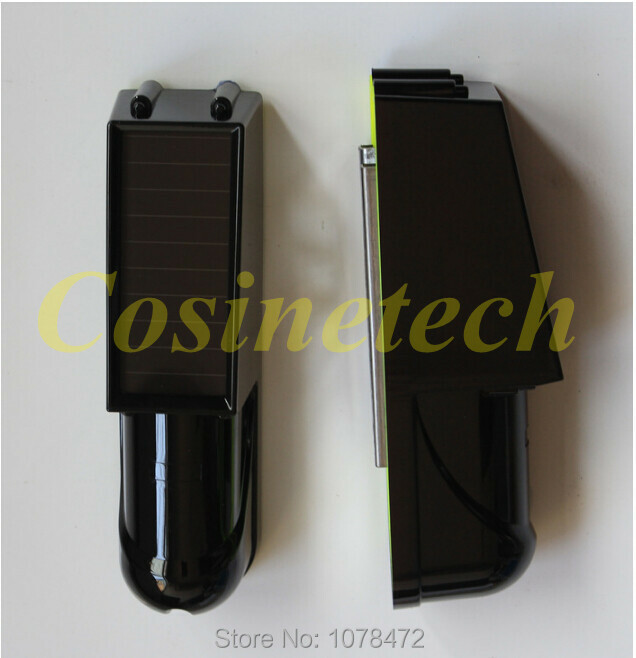 This product is a high stable beam sensor with dual-beam, it can get power from solar panels,and can work at outdoor areas. 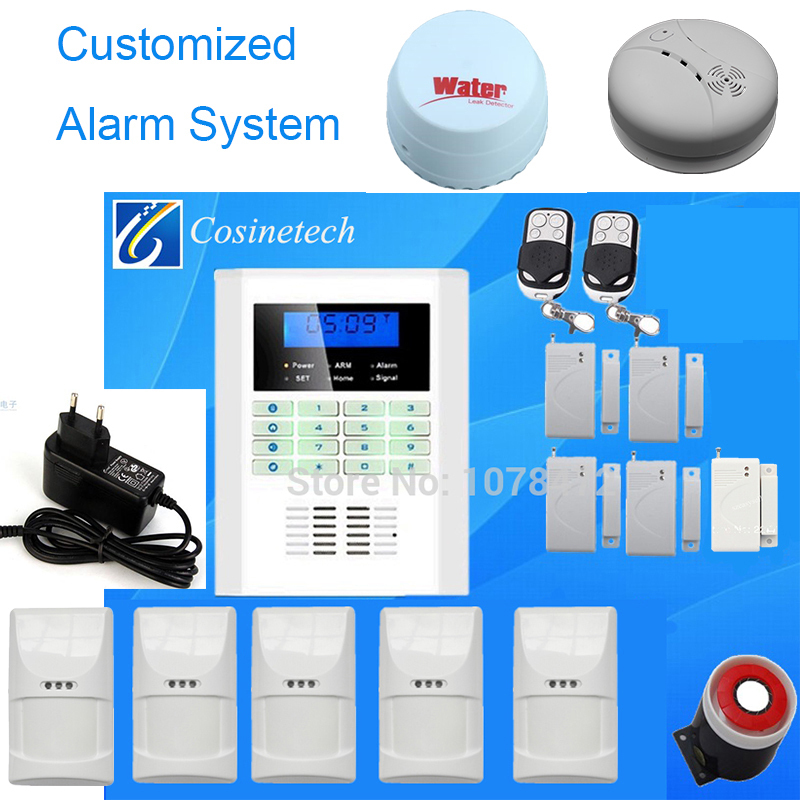 It adopts advanced signal analysis processing technology, providing super-high detection and anti-fault alarm. When intruder passes through detection zone,and cut off the beam,the detector will detect the intruder by itself,and trigger the beam sensor to emit wireless signal to alarm host. 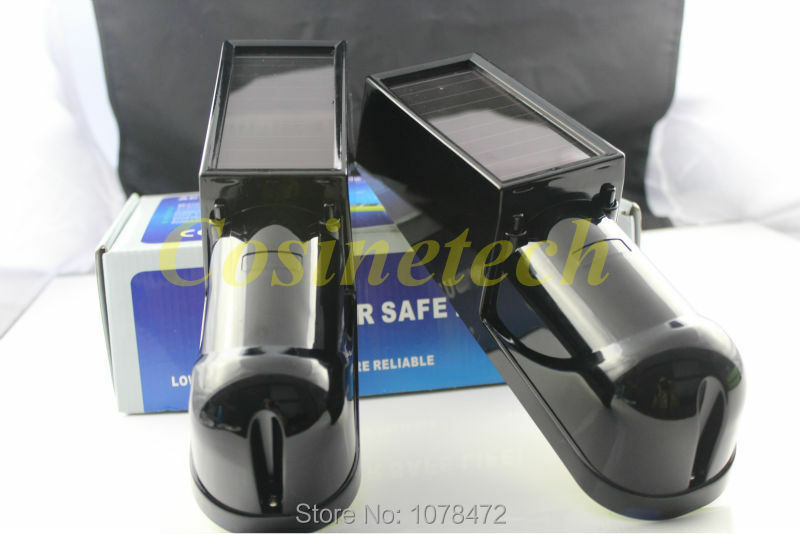 The product is suitable for housing estate,villa,factory,warehouse,office building and so on. 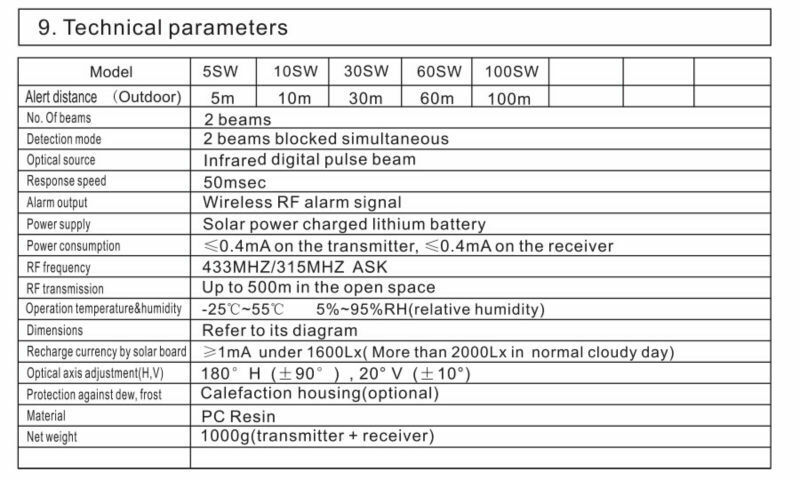 This link, price Here is only for model 10SW (OUTDOOR alert distance:10 meter). 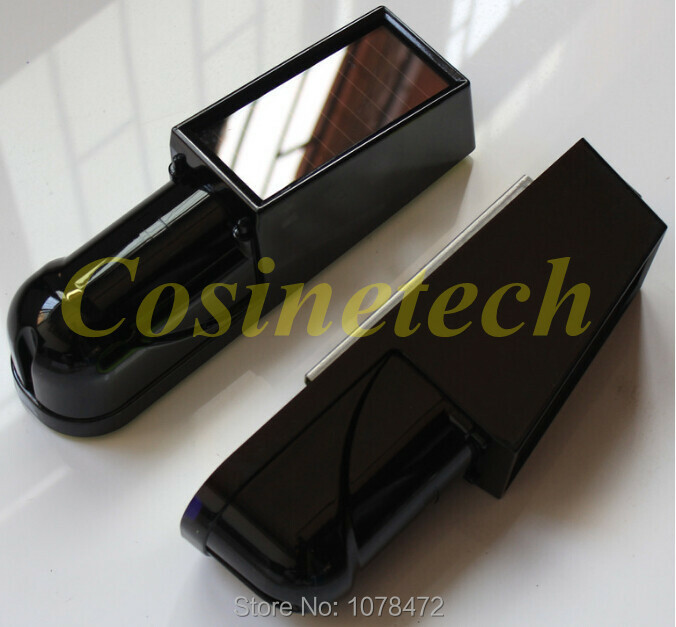 If you need other models, price is different,you need to contact us before order other types.